Various LEGO Dimensions packs at Tesco. 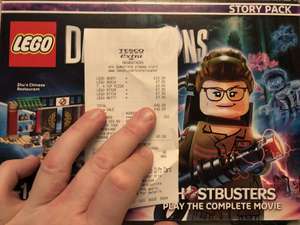 I found Ghostbusters story pack and various others a lot cheaper than I found elsewhere. Some are bigger savings than others, but all pretty good. This was Westwood Cross and there were a bunch left, including others I didn't purchase, but no Ghostbusters sorry. as well as a bunch of other additional stuff all sold out. Pretty sure they dropped today or yesterday at mine as I looked Saturday. Nice work. Had a limited supply in York but picked up the older Ghostbusters level pack for £7.50. 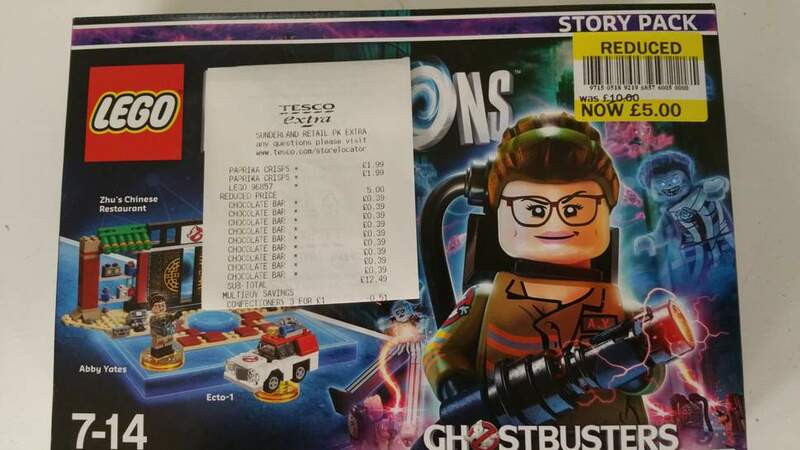 Ghostbusters Story Pack reduced to £5 at Tesco Extra Sunderland. I should be greedy but -well - took only one and still 7 have been left on the shelf ATM. Go hunting then. Good luck.